A representative of children's television star Shaun the Sheep has today revealed concerns over the safety of his client, who has been signed up to promote the 2015 World Cup to younger audiences. 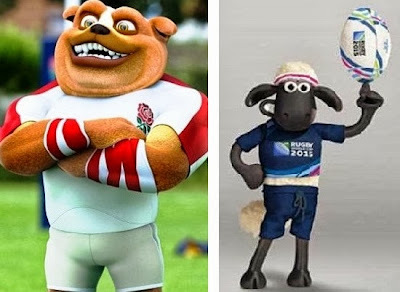 Shaun’s participation in various promotional activities related to the World Cup has been cast into doubt by the involvement of Ruckley – England Rugby’s official ambassador for children's rugby. Described by the RFU as “an English bulldog with boundless energy, bucketloads of enthusiasm and an endless love of rugby,” Ruckley also comes with a reputation of being a notorious sheep-botherer, a fact not lost on Sean the Sheep’s representative, Bitzer the sheep dog. “The bottom line is that we can’t risk Shaun’s health and we’ll be seeking reassurances from both the IRB and the RFU,” said Bitzer when questioned by this blog.